San Francisco – Friday 28 March, 2014 – PeopleBrowsr, owner of the registry operator for new Top Level Domain dotCEO, has announced General Availability. dotCEO domain addresses and identities will be available for purchase at Noon (ET) on Friday, March 28 2014.
dotCEO (www.home.CEO) is positioned as the only TLD to convey authority and power. Over the last few weeks 100 of the Fortune 500 registered their dotCEO domains. 3,000 individual CEOs are on the wait list. More than 45,000 premium dotCEO domains will be released. Jodee Rich (www.PeopleBrowsr.CEO), CEO of PeopleBrowsr said, “dotCEO is the powerful new domain Identity that defines your personal brand online. It is an address for leaders and entrepreneurs who want to control their brand and reputation." dotCEO TLD is owned by PeopleBrowsr, the registry for dotBest and dotKred. 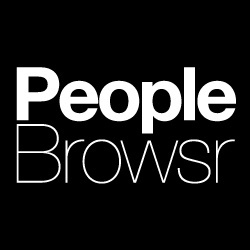 Over the last 5 years, PeopleBrowsr has developed cloud and application based social analytics and social network technology, as well as a social datamine which includes a global database of Social conversations and profiles. The Datamine is one of the largest in the world and contains one trillion conversations and over 500 million social media profiles.